Turn oven down to 480 and bake until golden brown and interior is 208-210 degrees. Partway through cooking you may need to turn oven down to 440 or so if crust is browning too quickly. Cool rolls on wire rack. 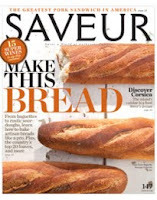 Devoted followers with exceptional memories and uncluttered brains (that is, my kids) may remember that last May I authored a cover story on American Bread in Saveur magazine. 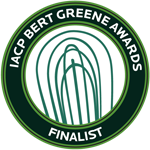 I've learned the the piece is a food journalism finalist for the 2013 IACP awards (that's International Association of Culinary Professionals) next month in San Francisco. I'd ask you all to stuff the ballet box, except there is none (and besides, that strategy didn't work for the Quill Book Awards in 2007). Win or lose, as Sarah Palin might say, "I'm just so proud to be nominated." 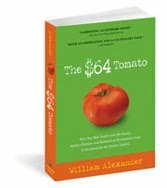 Best-selling author William Alexander shares his passion for the baked loaf at this blog. 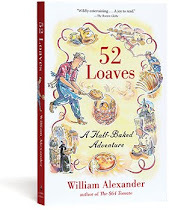 His cookbook, 52 Loaves, is all about baking the perfect loaf of bread, and his blog takes that perfection even further. In other words, they liked the pretzel dog recipe. Thanks to the kind folks at Culinary Programs for their recognition and check out the other sites, but not if it means you're going to read those blogs instead of mine.